Welcome to what was supposed to be the first recipe of the year! I kept pushing this back because of time and forgetfulness, but we’re finally here! I honestly couldn't wait to use my new slow cooker. I looked through Pinterest for the perfect recipe (because, duh, I don't know how to cook in one yet). I don't know why I put so much pressure on picking the perfect recipe just because it would be the first. What I really needed was convenient and cost effective. So when I found this recipe on Kitchen, I knew this would be the one to tackle. It even came with helpful tips on choosing the right part of the chicken and how long the recipe keeps in the fridge. 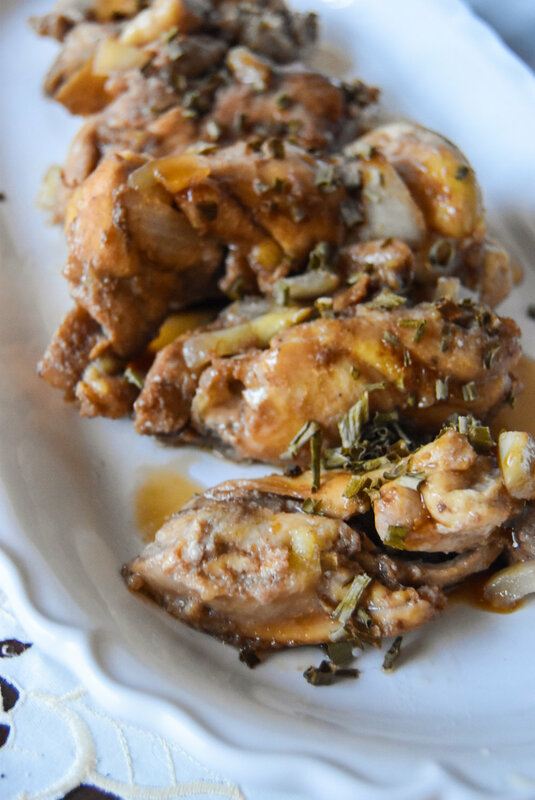 Chicken thighs are the right choice for this take on takeout because their meaty flavor isn't overshadowed by the rich teriyaki sauce and they are more forgiving than chicken breasts, consistently remaining juicy after a couple of hours in the slow cooker. That said, if you've only got chicken breasts on hand, you can substitute them with no change in prep or cook time.